A Law Library of Louisiana Free CLE Co-sponsored by the Supreme Court of Louisiana Historical Society on "Pierre Soulé: Advocate of Liberty"
REQUEST FOR PROPOSALS 2019-02: The Supreme Court of Louisiana invites qualified firms to submit proposals to provide professional/technical financial and performance internal auditing services. Proposals will be accepted until at 4:00 p.m. on Friday, March 29, 2019. The procedure for applying for Judicial Council recommendation regarding a new or increased court cost has changed. As per Act 553 of 2018, the application deadline for a new or increased cost has been changed to October 15 of the year prior to the calendar year the proposal is intended to introduced in the legislature. New Exhibit Celebrating the New Orleans Tricentennial! "Colonial Law in New Orleans, 1718-1803: Olde World Law in a New Land"
The Law Library is proud to debut a new permanent exhibit in the Louisiana Supreme Court Museum on colonial law in New Orleans. The exhibit discusses the legal landscape of the new French colony as it was established and the changes in the law as the colony transitioned to Spanish rule, then back again to French, before joining the United States. 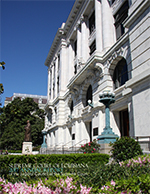 The exhibit features notable Louisiana and New Orleans leaders and their impact on the law. 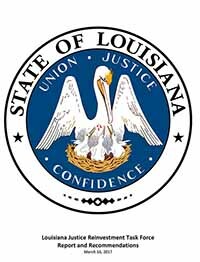 REQUEST FOR QUALIFICATIONS 2018-001: The Louisiana Judicial College, Supreme Court of Louisiana is requesting Statements of Qualifications from qualified individuals (retired specialty court judges) interested in serving as an independent consultant to the new Louisiana Highway Safety Commission Judicial Outreach Liaison Program. Statements of Qualifications will be accepted until 4:00 p.m. (CT), on Friday, April 27, 2018. PLEASE NOTE: Please be advised that an e-mail is circulating purporting to be a Pretrial Notice for an appearance in “The Court of Louisiana.” Please be aware that this e-mail did not originate from the Louisiana Supreme Court. Additionally, please be aware that any attachment associated with this e-mail may contain a virus and those receiving an e-mail similar to the above should not open the attachment. CHECK THE COURT DOCKET FOR THE SCHEDULE. News Release alerts are also available through the Supreme Court's RSS service. The News Release RSS feed is free of charge, for individual, non-commercial use and users may incorporate the RSS feed into their preferred newsreaders and web logs.